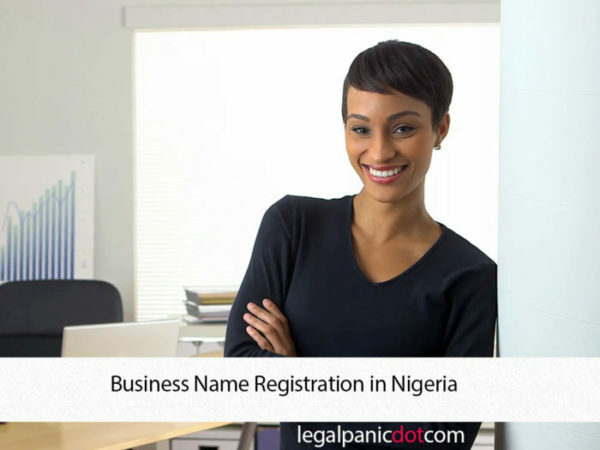 Ever wondered about business name registration in Nigeria? it process? Well, let’s break it down and help you take out all those fears about business name registration in Nigeria. Better not to bore you with provisions from the Companies and Allied Matters Act nor the CAC customer’s guide, I would rather leave the theory and face the practical procedure. Well, let’s break it down and help you take out all those fears. Better not to bore you with provisions from the Companies and Allied Matters Act nor the CAC customer’s guide, I would rather leave the theory and face the practical procedure for business name registration in Nigeria. You are to pick 1 or 2 names of your choice with the words like Enterprise(s), Venture(s), etc., take note, in inputting a name, brackets are not acceptable. You can put in names like KEFFAZ BEAUTY SALON, YEU-YEU MECHANICAL SERVICES, LIFE TREE ACADEMY, etc. I always advise people to log into the CAC website to do a name search on the public search to see if there is already an existing name or a similar one which would make their choice name to be rejected. If you have the names you can now visit the CAC website to put in the name for a fee. To be able to apply for a name reservation, you must be a registered customer on the website and to be a registered customer you must either register as an accredited user or an ordinary public user, meaning that any name you reserve in that account, you must be a Proprietor in that business. After putting in the name on the website, you could get a result within 24 working hours, either of the names could be reserved or disapproved for certain reasons so I advise you meet with an expert before you proceed. After a name is reserved, you have a 60 days grace period to register the name or it would be deleted from the system in case another user wants the name, but the good thing is that you could always revalidate the name after expiration and if you are lucky you can always get it back. You are given options to choose from so you do not get to think too hard but where the object you want is not stated out then you can put it the way you want. Take note, some objects cannot be registered under a business name for some reasons, could be that that particular object has a particular share capital attached to it, you need an expert to put you through on that. Note, some names tell the object of the business so you are not to leave that object out, you could put that object and add general contract and merchandise, for example, Bel Edu Consult, A & B Oil and Gas services, A A Solicitors, etc. Not all business is allowed to be involved in another object different from what it is known for. Let take, for example, a crèche, school, law firm, etc, cannot be run alongside any other object. This is a very important consideration for business name registration in Nigeria. Address of the business: You need a valid and concise address for the business. An address like “Galadimawa Estate, Abuja” is unacceptable, it could be “Flat 1, Block B, Galadimawa Estate, Abuja”, with that address anyone looking for the place of business cannot miss his or her way, anything outside that will be vague and unacceptable. You could also include a branch address which will attract an extra fee. Some businesses need certificates to go with it to show that you are actually qualified in that field, for example, at least a Proprietor in a Law firm must be a Lawyer and must attach his/her certificate during registration. Any consultancy firm must have a certificate which qualifies them to practice, applies to a school too. Some businesses do not need a certificate to practice, just contact an expert to know if that business of yours needs a certificate to be registered. If everything above is done, then you can go ahead with the registration. Some states still do manual registration while others do online registration, meaning you do not need to go to the commission (C.A.C) for anything except it is time to collect your certificate after you have been notified that it is ready. For the online registration, you have to log into the CAC (Corporate Affairs Commission) website and log into your portal, click on registration and pick business then input the availability code on the Availability search result then you can start the registration properly. You are to go through every step properly without mistakes then make your payment and print out the document for affixing of passport and appending of signatures then you are to scan as a document and such document must be in PDF format. Afterwards, you are to visit the doc upload on the website to upload your documents. Attach the Availability slip and maybe a letter of authority if the person who reserved the name is different from the person who is carrying out the registration, attach the payment receipt which you are to print out from your portal after making payment, attach the identity card, the form you printed out earlier and then proficiency certificate(s) where applicable then submit the attachments. After that is done you are to give them time to work on it and notify you when your application has been approved and the certificate is to be collected. If there has been a delay and your registration is still pending and your documents are still processing than you would have to visit the commission to lay a complaint, advisable, after 2 days. If there is an issue with your registration then you may be notified via your email that the registration has been disapproved meaning there is a query(s), you can respond to them from wherever you are. When the registration has been approved and registration number has been given, you have to make sure the certificate is ready for collection and you can only know when the name of the business is in the despatch manifest at the customer service department which is where the certificate is to be collected. To collect it, you have to go with the original documents you uploaded without leaving anyone out as you finalise your business name registration in Nigeria and its process. As for states that are not start-to-finish, you have to file them manually, after filling a manual business name form, you have to go to the commission to fill a form in the system and print out, affix passports on both forms, append signatures and make copies of both forms, make payment on the Remita platform then attach the other documents listed above and file. I always advise people to register their business name in Abuja because of the ease during searches and post incorporation unlike a company where you can register in any state and the file is brought down to Abuja, for a business name, the file will remain in the state of registration, making some post incorporations and searches difficult and time-consuming. Congrats, you already know all about business name registration in Nigeria. Cheers! Ngozi Gregory Okoh is a lawyer. She worked with two different Law Firms after her law school days, where she combined both litigation and corporate practice but had to quit to face corporate practice squarely which has always been her passion.